Garlic is a common seasoning used worldwide. It has been used both as a food flavoring and as a traditional medicine. Garlic is considered both a vegetable and a herb. The origin of National Garlic Day is unknown. It is on April 19th every year. 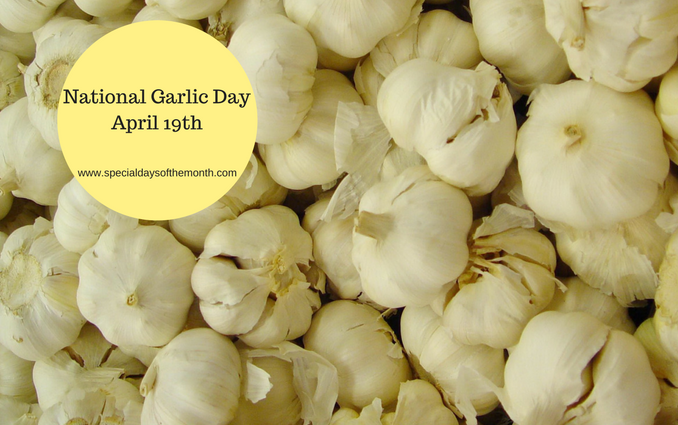 How can you celebrate National Garlic Day? Add garlic to all of your food – I personally know people who have added garlic to tuna fish (yuk). Don’t forget Animal Cracker Day, National Pet Day and Sibling Day are also in April. What holidays in April do you celebrate?